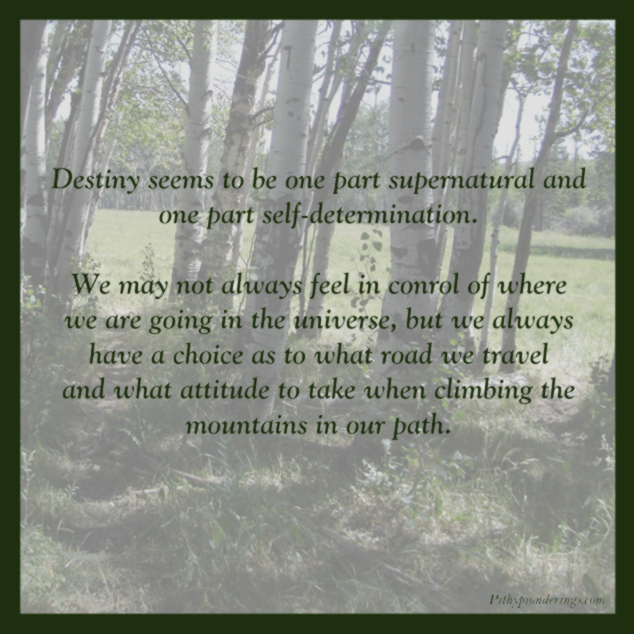 Destiny seems to be one part supernatural and one part self-determination. We may not always feel in control of where we are going in the universe, but we always have a choice as to what road we travel and what attitude to take when climbing the mountains in our path. This entry was posted in Only the Short, Overcoming..., Saith Me... and tagged Confidence, Conflict, Courage, Disability, Family, fibromyalgia, Life, Self-esteem, Spirituality, Thought, Youth.